Recently, the Business Roundtable released their 10th annual sustainability report: Create, Grow, Sustain: Delivering Shared Success. In its forward, BRT Chair for Energy and Environment, Nicholas Akins, reflected upon not only the inspirational accomplishments of the more than 150 participating companies, but also the necessity for collaboration and innovative thinking in order to make progress. HARMAN was proud to be among the member companies featured, wherein our President and CEO, Dinesh Paliwal, highlighted the many ways that our people, our operations, our innovations and our communities are working together to support our shared goals. But, as Henry Ford famously said, “a business that makes nothing but money is a poor business.” A commitment to sustainability is not something that takes place in short spurts – it’s a dedicated effort and promise that a company makes each and every day, that each decision made is done so with an eye to the future. And that we can always do better. We have seen many such examples of this across our organization, most recently in Mexico. 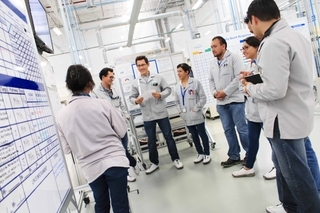 A year ago, our Queretaro facility received a national ESR (Empresa Socialmente Responsable) award, which recognizes corporate culture, sustainability efforts, environmental impact, ethics and transparency as well as collaboration with various stakeholders like our communities, customers, suppliers, government and society. 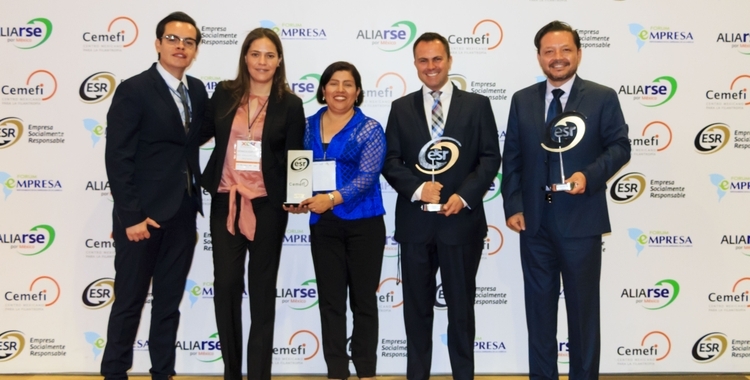 This year, through a collaborative effort, all of our operations across Mexico – Queretaro, Juarez and Tijuana - were ESR award recipients for the first time. ESR’s key objectives are to credit companies that are continuously working to improve management of their social responsibility and integrating it as a part of their culture and business approach. Recognized nationally and across Latin America, this award also aims to be a medium to lead companies towards developing effective models for sustainable and social responsibility, identify opportunities for improvements in the integral management of the companies, and recognize leading businesses that are actively engaging to integrate social values with their operations and employees. HARMAN is proud to be among ESR’s honored organizations, and it is our promise to all of our stakeholders that we will continue to build and foster an inclusive and collaborative culture that inspires respect, enhances creative thinking and boosts productivity. Stay tuned to our blog for more stories of sustainability across HARMAN throughout the year!